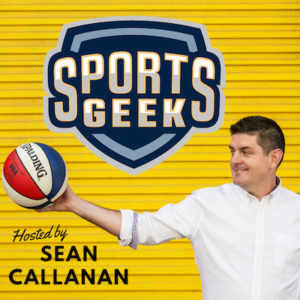 On the mend from achilles surgery, in this week's Sports Geek Podcast we chat to Robert Squillacioti about how the @Socceroos are connecting with mainstream Australia over 3 weeks trying to qualify for World Cup 2014. Since the NHL Finals we go back into our ABC Grandstand archive with our chat with Dewayne Hankins who at the time was working at AEG Sports with the @LAKings. Thanks again for the feedback, tag your tweets #SGP I've included some of your feedback on the Sports Geek Podcast page. Hashtags on Facebook, what effect will it have on sports? Very pleased to see it profiled in New & Noteworthy in iTunes and we've passed the 800 downloads mark with new listeners each week.